The NEW Michelin All Season tyre with new and improved tread pattern from the PRO 4, this improving levels of grip in the wet increasing this by +15% when compared. 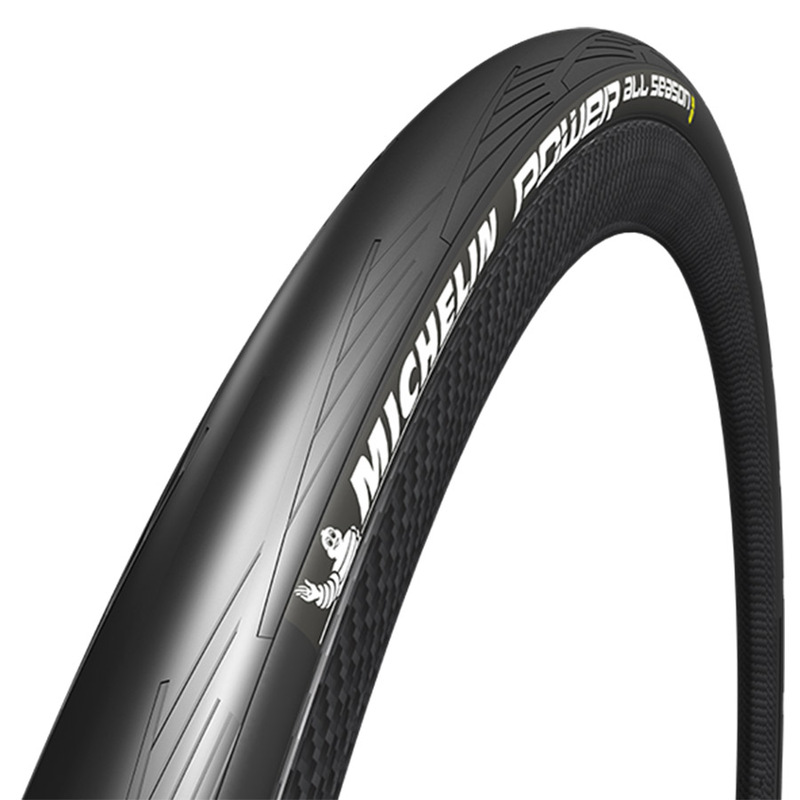 The tyre is aimed to provide greater performance and confidence, especially on wet descents. Be warned .... these are a tight fit......... very tight. Impossible to fit onto Dura Ace rims. Got them onto an old Mavic rim with tyre lube and much frustration (that was a tight fit as well). Hate to think of the frustration/struggle out on the road if you were to puncture. I have just received those 4 season tyres. Absolutely stunning, quality is very very high. Tested on an early morning wet cement and asphalt they provided me always good feeling and grip. Best price on the web.